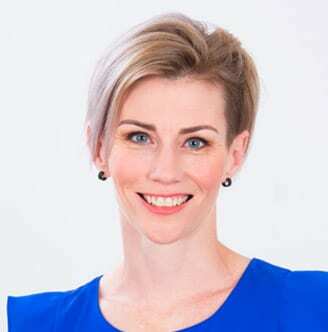 Lisa Blackburn is a titled Australian Physiotherapy Association (APA) Paediatric Physiotherapist who has been working exclusively with children and their families for over a decade. Lisa is passionate about improving the developmental and health outcomes of children and strongly believes in the importance of empowering families, educational professionals and others who work with children to become advocates for the child. She understands the importance of collaboration to achieve positive and sustainable health outcomes for children. Lisa works predominantly with children with developmental and behavioural concerns and has a strong interest in Developmental Coordination Disorder. Lisa does a lot of work with schools and educators around identifying developmental and learning difficulties in children, and developing strategies to support children in schools. Lisa graduated with a Bachelor of Physiotherapy (Honours) in 2003 and Master of Clinical Physiotherapy (Paediatrics) in 2008. She worked in a multidisciplinary team at the West Moreton Hospital and Health Service Child Development Service as a Physiotherapist and acted as Service Manager on numerous occasions between 2005 and 2014. Lisa currently supports the West Moreton Hospital and Health Service Paediatric Clinic for School aged children, performing screening of referrals, physiotherapy assessment and working with schools. Lisa is employed as a guest lecturer by Griffith University to teach Developmental Coordination Disorder in paediatrics within the Physiotherapy program. Lisa is a member of the Australian Physiotherapy Association and National Paediatric Group and is currently awaiting registration as an NDIS physiotherapist.